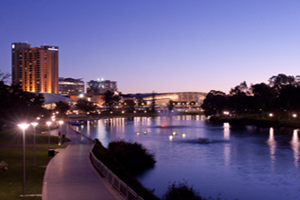 Four international convention bureaus, including Adelaide in South Australia, have formed a 'Science Alliance' to encourage networking opportunities and promote each other's destinations. The other three cities are Daejeon in South Korea, Hyderabad in India and Toulouse in France. The alliance will enable the cities to share intelligence and resources, draw on the strengths of each destination and attract events based around science and research. Around 60 per cent of global conventions and information exchanges are science-related. The ‘Science Alliance’ joins a list of other significant global alliances including ‘Best Cities’ ‘Future Cities’ and ‘Energy Cities’.